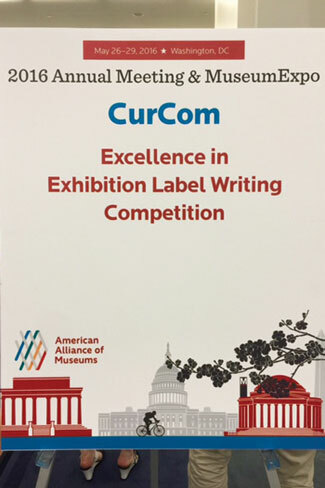 Three of the four labels were written by community contributors to the exhibition: Anh Đào Kolbe, Lana Mae Noone, Aimee Phan, and Heather Sharp. The co-curators (Laura Callen/Adoption Museum Project and Liz Clevenger/Presidio Trust) and Presidio Trust Historian (Barbara Berglund) wrote the object ID label. 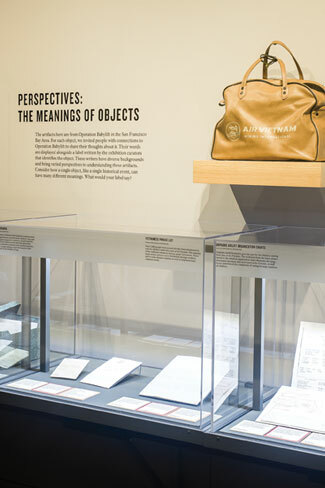 This same highly personal, community-led label writing approach was used for all eight objects in the gallery. 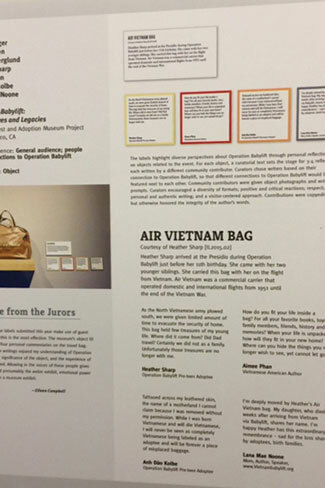 Visitors could place the object in context of the historic event, and also reflect on the different meanings the object evoked for people who participated in the event — through their own, unedited words. This area of the gallery was called “Perspectives: The Meanings of Objects”.